George graduated with a Juris Doctor degree from the College of Law of Northern Illinois University, and was admitted to the bar of the Indiana Supreme Court, to the bar of the federal courts, and to the bar of the Supreme Court of the United States. A commissioned U.S. Army Reserve officer, George obtained his Ranger and Green Beret qualifications while simultaneously working and studying the law. 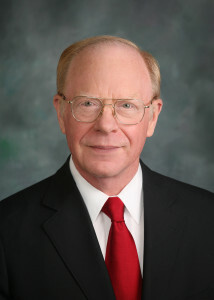 After law school graduation and admission, George served as a Deputy Attorney General of his native Indiana for more than 3 years, and is attorney of record in a number of reported cases. Subsequently, he was employed by the Administrative Office of the United States Courts, in Washington, DC, where he was eventually tasked with continuity of operations of the federal court system across the U.S.
George has a passion for business continuity and continuity of operations dating from his days of military service, which continued during his employment as Attorney-Advisor at the Administrative Office. Concurrently, as a U.S. Army Reserve officer, George planned and conducted military exercises in Europe, the Persian Gulf and Japan, working with his civil-military counterparts in the allied host nations. George became an ANSI-approved Delegate to the U.S. Technical Advisory Group to the International Organization for Standardization’s (ISO) Technical Committee 233, Societal Security, working on the project teams directly responsible for developing business continuity management systems standards and technical specifications. In 2011, George was elected to the Board of Directors of ANSI-ASQ National Accreditation Board. After his career with the military and federal government, George launched The Continuity Project in an effort to further pursue his interest in, and dedication to planning and helping create safe and prepared organizations and communities. In 2015, the National Institute for Standards and Technology selected George as the Business Continuity Fellow for the Community Resilience Program. In 2017, the National Railroad Passenger Corporation (Amtrak) selected George for the position of Senior Business Continuity Manager in Washington, D.C.